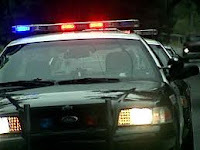 Police Chase in Edgewater Reviewed by Edgeville Buzz on January 9, 2011 . According to the Chicago News Report, there was a police chase in the Edgewater neighborhood early this morning around 5AM. The suspect, who was never apprehended, apparently fled his vehicle and entered the home of a woman on the 5500 block of North Winthrop. Read the entire story here.